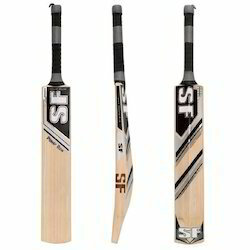 Our range of products include stanford black edition english willow cricket bat, stanford synthetic cover kashmir willow cricket bat, stanford middling bat kashmir willow cricket bat, stanford optimus english willow cricket bats, stanford limited edition english willow cricket bat and stanford sapphire english willow cricket bat. 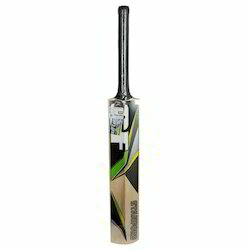 Premium grade 1+ English willow. Carefully handcrafted to give a bat with a large sweetspot. 12 piece cane handle for absolute jerk FREE performance |Slight bow to the blade. Manufactured from highest quality materials. 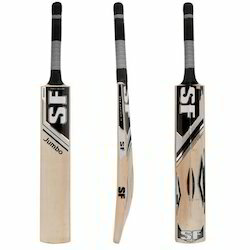 The handle creates additional flex resulting in even more power and bat speed to go with its understated stylish and classy look. 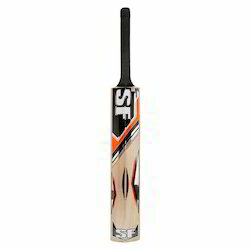 Advance method of preparing bat adopted for ultimate performance. Grains : 7-9 Grains | Weight : 1180-1250 gm. Premium English Willow is used resulting in a high performance. compression : A new compression technology adopted for optimum rebound. Grains : 6to9 Grains | Weight : 1180-1250 gm. Made from grade 1 Naturally Seasoned English willow. Large profile|Thick edges|All rounder shape. 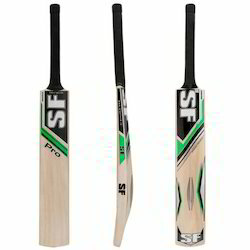 SF Platinum Cricket bat is made of top quality English willow. Willow cleft is hand selected while it is processed with natural drying technique. It has large power large profile for massive power. Short Handle with 12 piece cane handle for absolute jerk FREE performance. 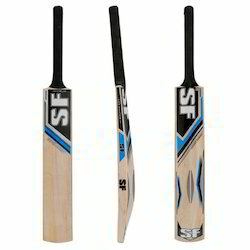 It is made from best quality english willow. Mens Size.|Striking New Series.|Contoured edges. Large profile &amp;amp;amp; hitting area. Large profile &amp;amp;amp;amp;amp; hitting area. 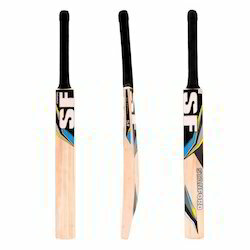 Features : Grade 5 English willow. 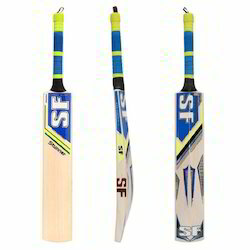 Body Feeatures : A bat designed for players who have started their career on a bright note and wanting to improve. Hand selected from some of the worlds finest English Willow. Custom-made to ensure highest quality and performance. Thick edges and curved blade for balance and control. 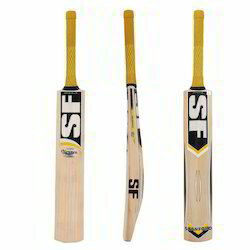 Made from the highest quality English Willow. Clean back with grain face front. Thick edges and curved blade for powerful performance. 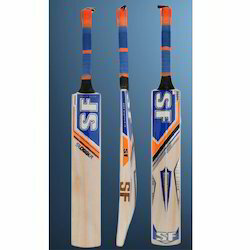 The SF BIG EDGE BE 450 Bat is all set to make an impression on you with its high durability and powerful performance. 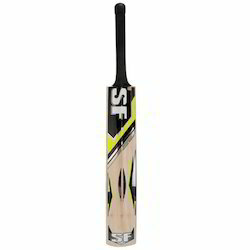 Made from KASHMIR Willow English Willow allows you to smash the ball with better stroke and higher impact with less effort because of the strength of the wood. 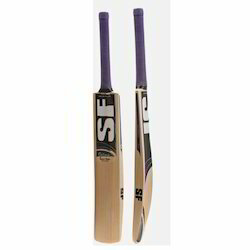 Suitable for Big hitters This bat is suitable for senior players since it is huge. Also, it is slightly heavier than the usual bats. 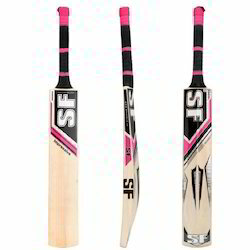 This enhances the force of every hit and delivers outstanding performance. This bat is usually used to deliver big hits. 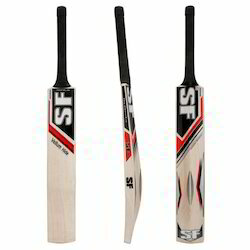 SF Stanford Power Spot Kashmir Willow Cricket Bat Full Size Specially Design for Start up Level Players. 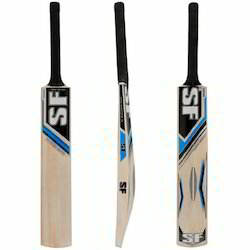 Selected Kashmir willow, Curved blade, Natural finish & easy to use. 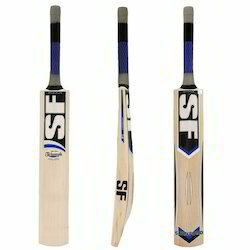 Sf Cricket Bat Kashmir Willow Super Crown. 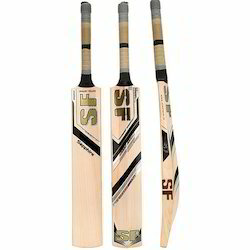 Hand selected from some of the worlds finest KASHMIR Willow. 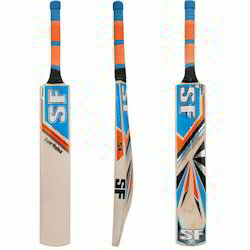 SF Stanford Impact Junior Kashmir Willow Cricket Bat Size 4 Specially Design for Start up Level Players. 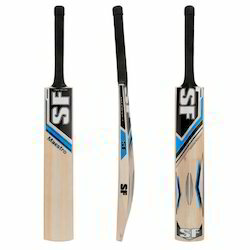 Selected Kashmir willow, Curved blade, Natural finish, its easy to use & play. 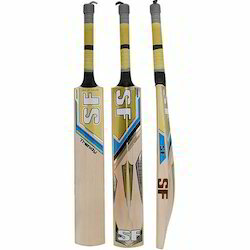 SF Stanford Big Shot Kashmir Willow Cricket Bat Full Size Specially Design for Start up Level Players. 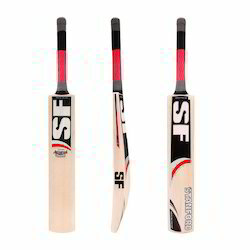 Very light weight, blade made of Kashmir Willow. Made from high quality kashmir willow. Thick edges and curved blade for powerful stroke play. Comes with a full length plain bat cover. 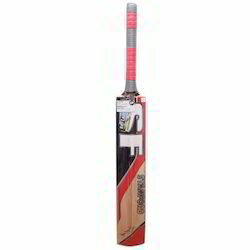 Reserve grade cricket bat for Pros as used by Dwayne Bravo, Tilakratne Dilshan. Clean back with plain fiber tape on the front. 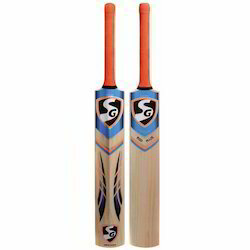 Being a prominent firm in this domain, we are engaged in offering a distinguished assortment of Sg Rsd Plus Kashmir Willow Cricket Bat. The offered bat is made with the finest grade English willow wood and cutting-edge techniques by the dexterous workforce at our vendor's end. 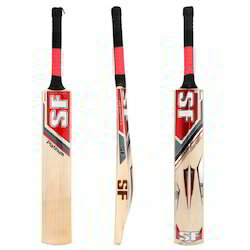 Our offered bat is widely demanded as it delivers more power for stroke playing and is highly appreciated for cost effectiveness. 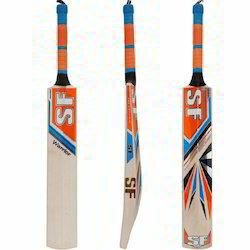 Our clients can avail this bat from us in customized options. 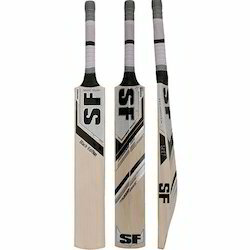 Good quality willow suitable for heavy bat to gain maximum power, 2.9, 2.12. 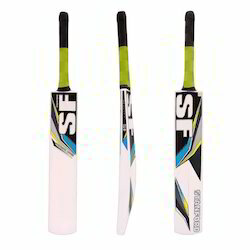 The big bat is designed for the big hitter who likes to get some air under the ball and watch it fly. Naturally air Dried Willow Which will give you Perfect Moisture. All New Graphics: Newly Designed Sticker for attractive look. Full Cane (12 Piece) for better Comfort and feel. 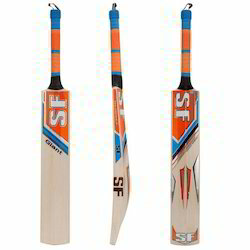 Light Weight Bat Profile and Perfectly Balanced Cricket Bat. 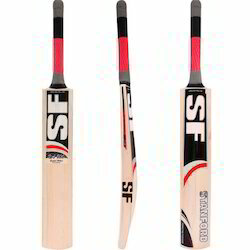 This bat is spacially made with extended sweet spot to give the best quality and power to play. It has lots of power and playing with it gives best experience. Made from natural and selected english willow. 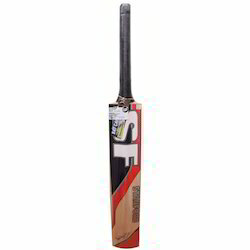 This is a very balanced bat to give real power to the cricketer. 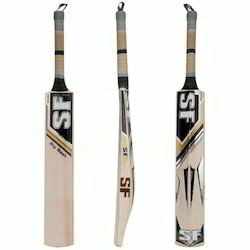 This bat has bowed blade shape to give a perfect experience to the bats man. 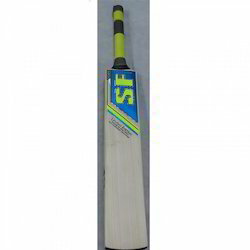 This is a grade 1 naturally air dried cricket bat. Training and high knock ups. Its classic high rebound form face makes it perfect for fielding. Best for low catching practice and on ground fielding drill. 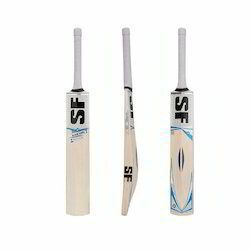 Made fom selected english willow. 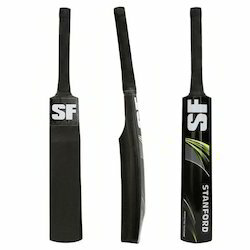 Looking for Stanford Cricket Bats ?